Taking it to the Streets. Helping dogs, helping people. Saving lives and sharing hope. ColoRADogs, a 501(c)(3) nonprofit organization based out of Fort Collins, Colorado is “taking it to the streets!” Taking what? Resources! 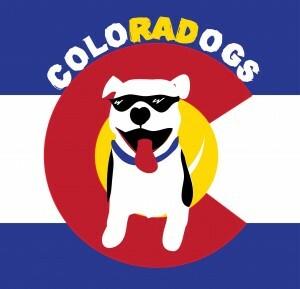 ColoRADogs is going out to the streets and meeting people where they live. No more worrying whether or not they will be able to find help in hard times. No forms, and most importantly, NO judgment. Just passing out resources and hope! BUT they need your help getting a trailer to pass out these resources! Let’s keep dogs and their people together and prevent someone’s best friend from being relinquished to a shelter for something as little as just not having enough food. Here’s how you can help! We need a trailer. Our poor little truck and her shell just don’t have enough room. Why do you need a trailer? Our truck is small, and even with a shell she just does not hold enough supplies for what we’d like to do. But she can tow a trailer just fine. We chose that trailer based on the width and depth, plus the weight. It will allow us to carry a ton of food and supplies. The height allows us to walk into it and avoid bumped heads and possible injuries as we walk in and out. The double doors on the back and the side allow both easy access and ability to go out in the elements without opening a ramp and letting snow, rain, heavy winds in. Where do you plan on taking supplies and to whom? All over Colorado wherever we’re needed. To the homeless and under served. In areas where resource islands exist. To rural shelters who are struggling to feed dogs. We are going where the need takes us. Food, leashes, collars and bowls. Crates, blankets and beds. Yearly vaccinations (not including rabies unless a Vet wants to ride alongJ). Microchips, flea treatment, toys and most of all HOPE! If you think we should have something on there, let us know or go to the wish list we’ll be posting and put it on there! We’ll make sure it’s offered. The number one reason we hear from people in need is that they can’t access resources for their pets. Whether they are in a rural area, have no access to transportation, live where there are simply no available services or are unable to provide the sometimes-incredible amount of “proof” required to access those services. The end result is the person and their dog suffers. Oftentimes, resources scarcity can mean the difference between being able to keep a dog out of the shelter, and relinquishing them. This resource wagon will literally make the difference between life and death for a whole lotta four-legged best friends. You’ll be able to follow along on Facebook as the moment we’ve funded the trailer she’s going to have her own page and post her adventures. There is little risk. We know this gig. We lived in Fresno, CA in one of the most underserved and pet loving neighborhoods for 19 years. We’ve always found ways to help people who needed it for their dogs. We’ve got the truck, the tow hitch and the passion. We just need the trailer. If you can’t help by donating, please share and ask people to help support our campaign. Then find a person who needs help in your community to keep their dog, and offer them hope.